In today’s world where beauty and substance are often delineated as mutually exclusive, Tara will strike you as an anomaly. At first glance, she is perceived as poised and beautiful with a refined sense of style. But her true beauty lies within her courage as an investigative journalist and philanthropist in the Middle East. Tara celebrates her femininity without compromising her commitment to her mission of impacting the world. Through her foundation Art of Hope, Tara contributes to the overlooked and often forgotten refugees of war in the Middle East. Her ability to balance femininity and a career confronting the ugliest truths facing the international community solidify her position as a modern day role model. Tara originally hails from Tehran, Iran but recently moved to New York City after a decade of calling California her home. Coming from a nation once referred to as an empire, Tara represents a blend of old world tradition and westernized modernity. She possesses a contemporary outlook on modesty, censorship, and feminism while also maintaining traditions rooted in her heritage. From The Middle East, to the West Coast, and now the East Coast, her Persian background continues to permeate her experiences while transitioning from one metropolis to another. Nima is a charismatic world traveler originally hailing from Iran and Canada. 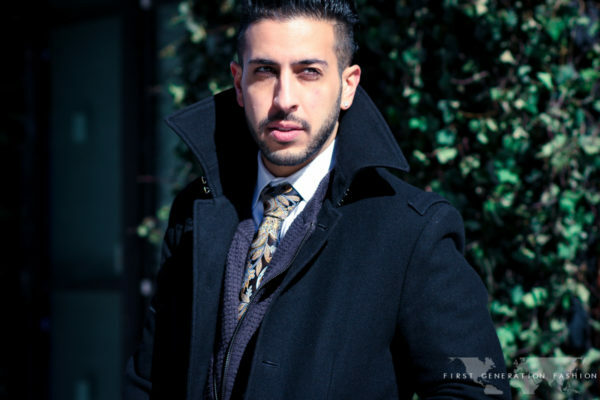 Although he’s a frequent visitor to the most exciting destinations around the globe, Nima settled in New York to grow his career in film. His warm and inviting energy is sometimes rare to find in NYC but without knowing him for long, he’ll make you feel like an old friend. With a social network as vast and diverse as a UN gathering, you’ll never spot Nima without a few of his international friends who call New York City home. Donna is a Persian beauty with the air of old world class and sophistication. Her wardrobe is a true reflection of her character. She mixes feminine silhouettes with on-trend twists, bold colors, and head-turning prints. Narges is a fashionable and fabulous Columbia Law student living in the heart of New York City. Transplanted from Vancouver to Tribeca, Narges originally hails from Iran. Although her wardrobe includes a collection of on-trend and head turning treasures, her old world etiquette and warm demeanor affirm that she is truly a Persian princess living the downtown lifestyle.